Programming for teens at Camp Pendola is a diverse as the teens we serve. Are you and your teen looking for more leadership opportunities? Or Adventure? Or to hold on to being a kid? Or a little of everything? Camp Pendola has you covered. Whether your teen attends Teen Week, or a Trip, or becomes a CIT your teen will have a fun and enriching experience while growing their Catholic faith. This summer we will have one week of camp where all of our programming is geared toward our oldest campers in Middle and High School. This year the theme is Invaders of the Night and will allow teens to have more choice in their activities at camp. Also a feature of the programming will be leadership development and our High School aged teens will have the opportunity to choose activities where they will learn how to plan and lead some of our evening activities. Adventures in nature are a fun why for older camper to experience the presence of God in creation, learn outdoor living skills, and make life long memories. ​Camp Pendola offers a wonderful outdoor canoeing experience. Registration for this activity is open to camp participants entering grade 7 and above next fall. All campers must be able to swim at least 15 yards in deep water (Passed level 3 America Red Cross Learn-to-Swim Program). No special equipment needed. Canoe Trip Campers spend one day prepping to leave including canoe safety and then spend 3 day and two nights at Bullards Bar. Up to ten backpackers will have the opportunity to leave Pendola Center for an four day, three night backpacking trip. Youth entering grades 9 through 12, learn how to cook on a backpacking stove, practice no-trace camping, and how to live with only what they can carry. The trip leads the hikers along the Pacific Crest Trail in the Lake Basin area of the Tahoe National Forest. Spectacular scenery and the freedom of the back country are the highlights of this trip. New this year is a trip for our High School aged campers who want to do both Canoeing and Backpacking. Campers will leave from Camp Pendola and spend two days camping in the Tahoe National Forest making their way to Bullards Bar. And then they will have two days at Bullards Bar before returning to camp. Before leaving they will have a day to learn canoe and backpacking safety from our Camp Pendola Counselors. Come to camp for 2 weeks (CITs go home from Saturday - Sunday). This is a two year program that prepares you to become a counselor. Potential CITs must apply and be accepted into the program before their registration will be processed. C.I.T. 1 — Practice the skills needed to be a counselor. Learn the organizational skills to carry out overnights, and how to help coach archery plus lots more! Must be entering 11th or 12th grade next fall. C.I.T. 2 —Put all you have learned into practice. 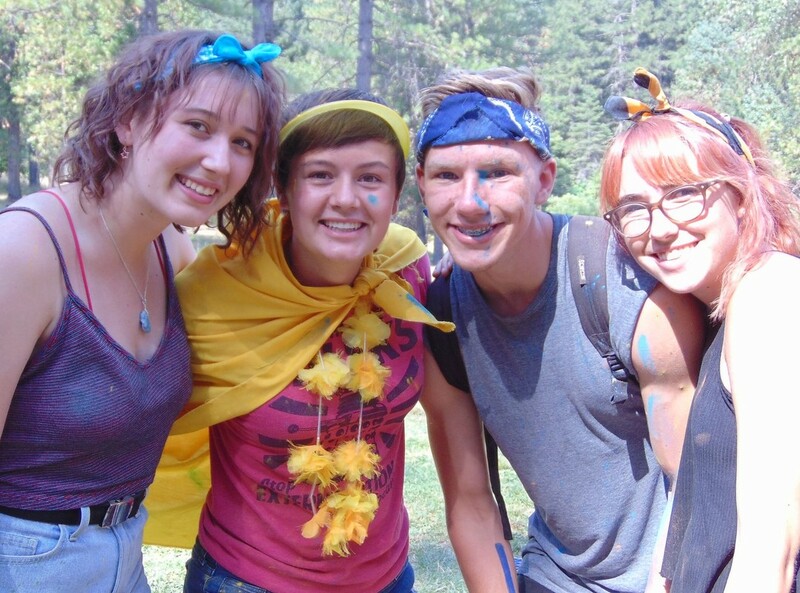 In addition to continue learn how to lead and teach more of Camp Pendola's great activities, about half your time you will live a cabin with campers and practice what being a counselor is really like. Working with an experienced counselor you will learn the tricks of the trade. Must have completed C.I.T. 1.